A lot has been said about Arsenal and their finances during this january transfer window, after Unai Emery stated that the club could only afford loan deals until this summer. Arsenal are indeed one of the richest clubs in the world, but massive investment in recent transfer windows along with 2 seasons without Champions League money means that the club’s self-sustaining model is stretched to its limits. Denis Suarez is the only addition to the squad on a 2M€ loan with a 20M€ option to buy at the end of the season. The club has spent 53M€+7M€ in bonuses on Lacazette, 65M€ on Aubameyang, given very lucrative deals to both of them and also to Kolasinac, Mkhitaryan and Özil, those are massive sums of money for a club with no external investment, and something that Arsenal cannot do anymore, the approach had to change, and this transfer window gave us signs of things to come. I/ Raul’s victory over Sven ? The month of january was overshadowed with the rumours, which quickly turned out to be true, that Sven Mislintat was set to leave Arsenal after just one year at the club. The news was met with general disappointment, as “Diamond Eyes” was expected to scout and bring gems to the club, outsmarting richer rivals. 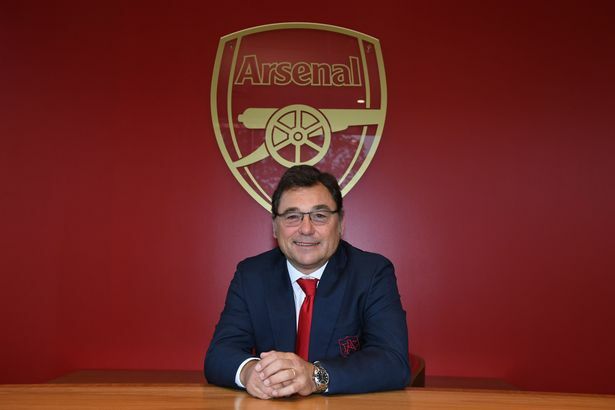 We saw glimpses of that approach with the signings of Mavropanos, Guendouzi and Torreira, players for the long term with huge potential. Mislintat leaves after disagreements over transfer targets and a general feeling that his influence was vanishing, Raul Sanllehi’s growing on the other hand. Above the change of dynamic, there’s also a change of strategy, Mislintat based his scouting on stats and player performance, Raul is using his network to find players, that’s this approach that looks to be the way forward for Arsenal from now on. Sanllehi has one of the largest networks in world football, with lots of contacts with various agents who can offer him multiple clients, the upside there being that Arsenal can be offered players that they wouldn’t expect to sign otherwise. The downside is that Arsenal will end up signing a few players that are offered to them by agents or clubs that want to sell, rather than identified targets. Barcelona absolutely wanted to get rid of Denis, Arsenal did well in order to avoid a mandatory clause to sign him permanently this summer but they’re still signing a player that Barcelona were more than happy to sell, and that has 40 league minutes this season, 20 of them coming against Manchester City for Arsenal. Of the five players that have been widely linked with Arsenal this month, three are players that have worked with Unai in the past, Banega and Suarez at Sevilla, N’kunku at PSG. It is clear that, as much as in his team selection, Emery wants to play it safe and link up with players that are used to his methods. While some players have more difficulties than others to get to grips with the new system, “Unai players” allow him to get already closer to the footballing philosophy that he wants to achieve. Denis Suarez knows what Emery wants from him, especially from the wide areas, on and off the ball. With Aaron Ramsey going to Juventus, Mkhitaryan injured and Özil out of favour, Arsenal lack creativity, surprisingly, while the team has the reputation of a squad full of diminutive playmakers, Arsenal don’t have any ball-carrier nor any natural wingers, Alex Iwobi recently being the only player linking defence and attack. 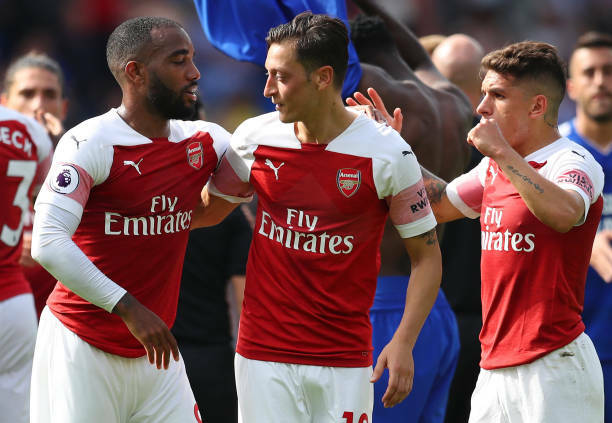 The Denis signing makes sense if Emery doesn’t want to use Ramsey and Özil in his teams, as Arsenal have often been flat offensively in recent weeks, relying on Kolasinac’s overlaps and Lacazette’s brilliance. At the moment, the style isn’t really there, only one of our last five Premier League has come from an open play phase, and it was once again a cutback in the box. 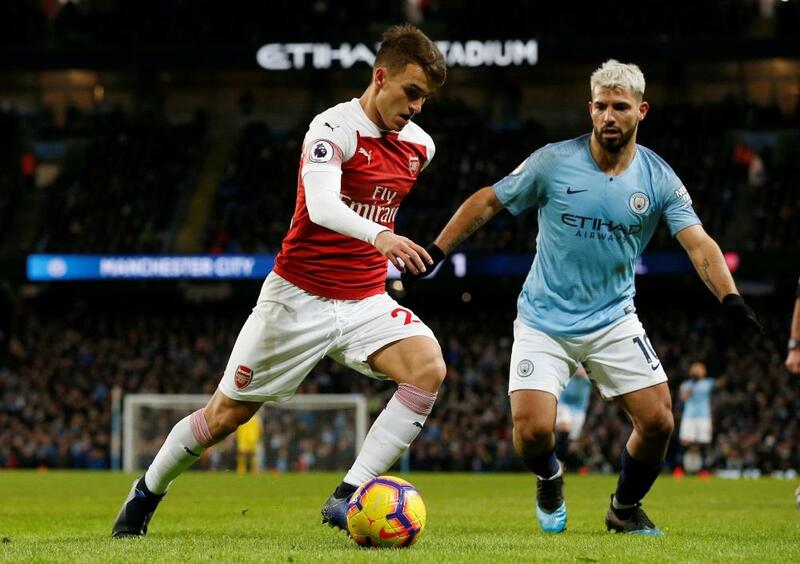 It can be interpreted as lazy scouting, and there might well be something to it, or a conservatism that has been a feature of Unai Emery’s reign, but as long as the spaniard has the club’s backing, the best is to give him what he wants, which coincides with what the team is currently missing, along with a wide player. Arsenal have been linked with numerous young players recently, most notably Nicolas Pépé and Pavon, yet, during this transfer window, they targeted Ivan Perisic, who turned 30 on february 2nd. We also targeted Ever Banega (30) earlier, it looks like the strategy is/was to look for players capable of contributing immediately instead of players for the long-term, the same strategy as last january, when Arsenal opted against signing Malcom to go for Mkhitaryan (29) and Aubameyang (28). Looking for the finished product makes sense when a return to the Champions League is as must, but it’s also a risky strategy when the funds are limited. This strategy failed last year and directly led to this year’s lack of funds. 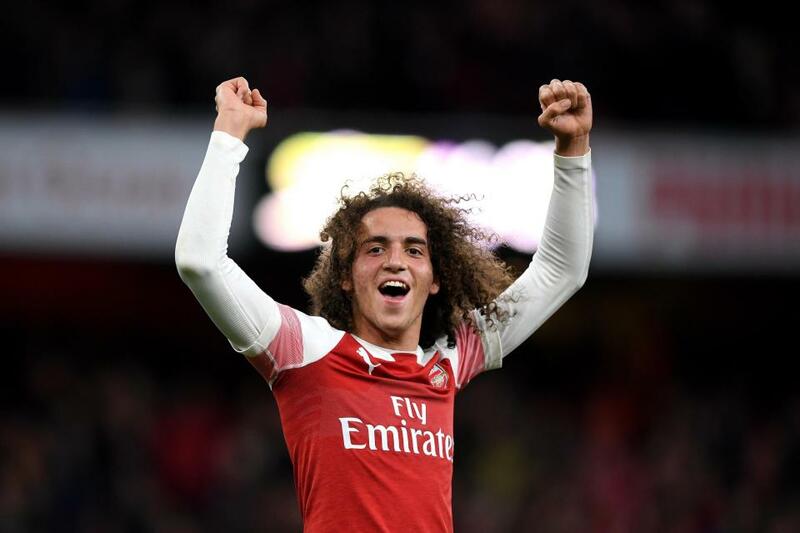 While bringing in young players that might need time to bed in and perform, Lucas Torreira and Matteo Guendouzi showed that young players can bring something to the team straight away. An in-form Nicolas Pépé (23) can arguably be much better from the start than an Ivan Perisic (30) on the back of a dreadful 6 months for Inter. Signing players for the long-term also gives the club the ability to make a profit in case things turn sour between the player and the club, what Liverpool did with Coutinho. It can be categorised as a lack of ambition but sometimes players need a change, or can’t resist to Barcelona or Madrid’s attraction, which are always going to be superior to any other club, but resale value allows the club to reinvest and build a competitive side with healthy finances. Arsenal now don’t have any big sellable asset, nobody wants to pay Özil’s wages, Ramsey’s leaving on a free, Aubameyang’s market value won’t raise due to his age, Bellerin’s injured and it would cost even more money to sign a replacement as good as him. The club needs to be smart, finances are tight, and they don’t have a big margin for error in a key time for the club, one that will decide whether the club will return to Europe’s elite in the coming seasons. Share the post "Dissecting Arsenal’s transfer strategy"
His 20mins yesterday of one paced lack of effort is what we do not need. He is not needed ..